Welcome to A-Plan, St. Albans, your nearest branch. 66 London Road, St Albans, AL1 1NW mile away. 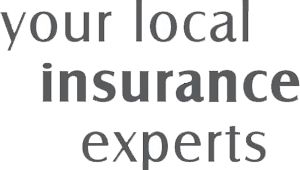 As your local insurance broker, A-Plan St Albans has been serving clients in your area since the 1970s. We have specialist facilities for private car, home & contents and commercial vehicle insurance. We have been established in St Albans since the 1970's and provide various types of Car, Van and Property Insurance to the local and wider community. Our knowledgeable and friendly team are always on hand to ensure you are offered the right policy, tailored to your needs, at a competitive premium. Our in-house claims specialist will offer a dedicated and personal service, they will ensure that your claim journey is smooth and you are well informed throughout the process. You'll have peace of mind that we are at the end of a phone or you can pop in (and use our own car park) should you have any queries throughout the year. Your St. Albans Branch Manager. Get the right cover at a great price! Put our local team to the test to see how we can help you.